This is the way to due it. 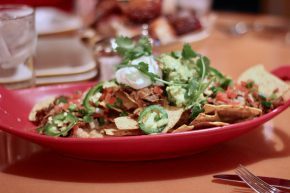 First came the Smoked Carnitas Nachos, which were exactly what they sound like. 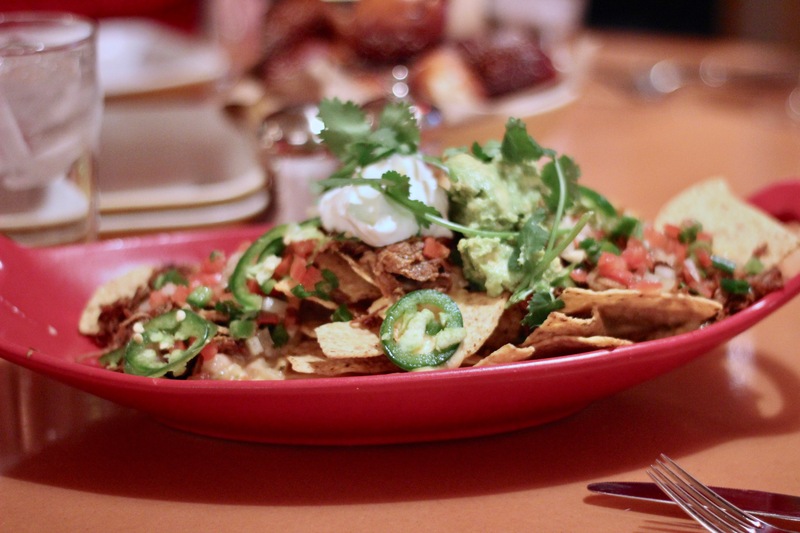 They were solid, but definitely the kind of nachos you expect at a semi-upscale place like The Arrogant Butcher as opposed to the sports bar-style nachos that I typically prefer. 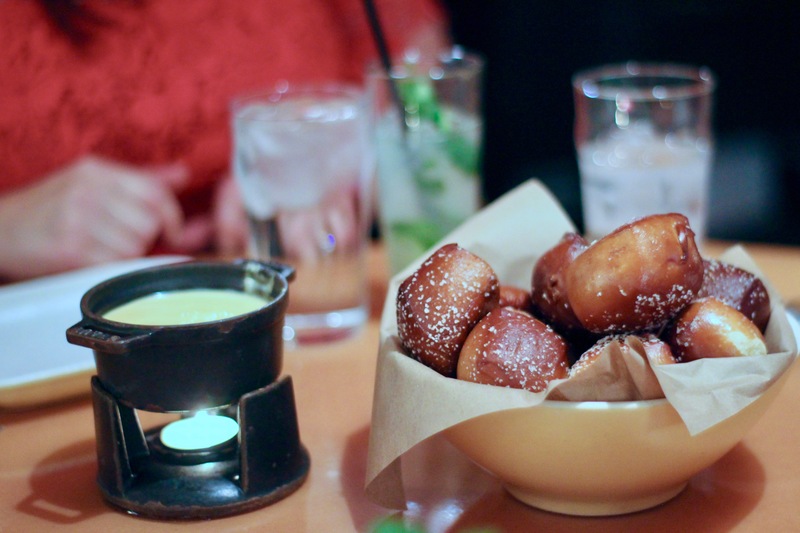 We also had the House Soft Pretzels and Provolone Fondue, which was fondu-licious. I mean it’s really hard to go wrong with dipping stuff in cheese and Fox Restaurants are damn good at recreating this dish over and over again. 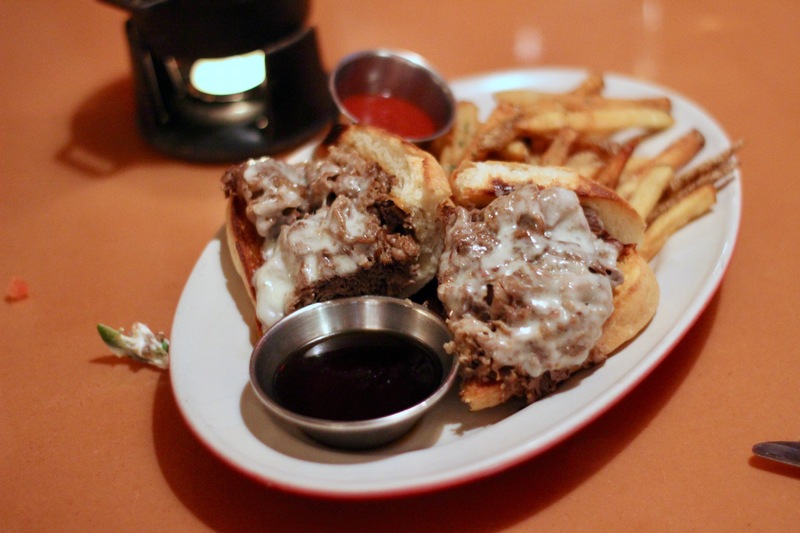 As for the meal, I decided to forego steak and went with the Prime Rib French Dip. I always find this to be a great alternative at steak spots when I don’t want a full on steak because they still use the delicious cuts of beef to put it together. Unfortunately, this was not such a dip. The slices of beef were overcooked to the point where it almost tasted like I was eating a cheesesteak instead of a French Dip. Of course, I love me some cheesesteaks, but I also prefer them at cheesesteak prices and this was certainly not. So perhaps The Arrogant Butcher is simply a place to get a steak, but if that’s the case isn’t it a bit arrogant to offer other inferior options?